Arhaus Furniture Reviews - Does Their Quality Match Their Design? / Arhaus Furniture Reviews – Does Their Quality Match Their Design? Arhaus Furniture Reviews – Does Their Quality Match Their Design? Arhaus are the designers of quality home and outdoor furniture. Each piece has been developed exclusively by their creative team and is designed to bring style and utility into your home. They really provide a sense of creativity and quality blended together. In this Arhaus furniture reviews guide you will learn the history or Arhaus, what their values are, their main product types, their furniture quality, and about their furniture warranty! Since 1986 Arhaus have been driven by a passion to provide high quality well designed home furnishings and they put that passion into every piece. Arhaus are a furniture designer rather than a manufacturer. They create, plan and invent the products and then find talented and reliable craftsman to create it. Arhaus use artisans all over the world to craft their products and bring their 30 years of experience to life. Arhaus have flourished because of their attention to detail and focus on quality. They regard each piece as a work of art, inspired by the world around them, and seek to make it look as good as it can be. Then they work in innovation, looking at the options available and finding out how to maximise the space. In this way Arhaus makes their furniture multi purpose, both to look good and be as useful as possible. 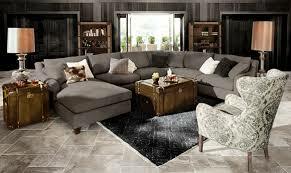 Arhaus have become a household name in the last 30 years and are synonymous with exquisite design and with quality. 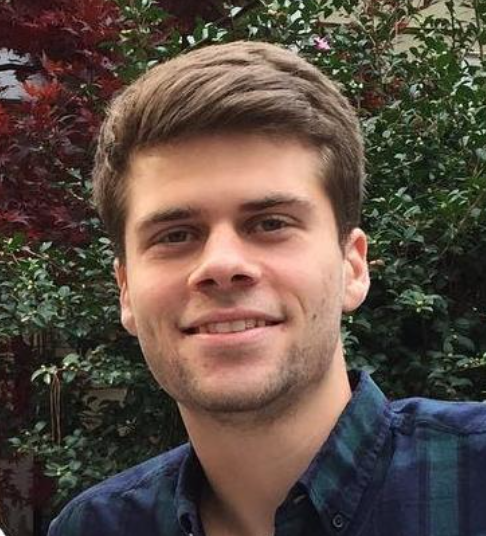 Let’s take a look at their core products. Arhaus Furniture collections are for the entire home. They design and create furniture for outdoors, living room, dining room, bedrooms, home office with bedding and light collections too. Despite the wide range Arhaus quality doesn’t dip and they have the same careful checks for all of their product lines. 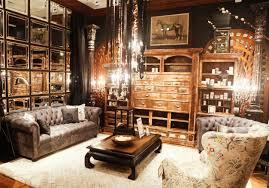 Arhaus don’t manufacture their own goods and instead outsource to various different factories. These are located within the U.S and abroad, which with some companies can cause issues with quality. Arhaus have stringent checks and criteria for the manufacturers and ensure that every unit is up to scratch. All of their furniture is built by hand and there is a particular focus put on the materials they use. Arhaus believes in using hardwoods wherever possible, with Elm and Cherry being their favourite. 100% organic fabrics are used with most of this products and Arhaus is always looking for the latest materials that might be value to their products. Where Is Arhaus Furniture Made? When you are looking for a new piece of furniture, it can be incredibly important to look at where a piece is manufactured. From knowing the location of the furniture you can get an overall idea on the overall quality of the piece. That being said, where are Arhaus pieces manufactured? Arhaus furniture are all handcrafted in the foothills of North Carolina! These pieces are crafted by Americans in Western North Carolina. Along with this, all of the raw materials used in these pieces are from Sustainable Forestry Initiative Georgia Pacific wood and certified hardwoods from Appalachian mountains. 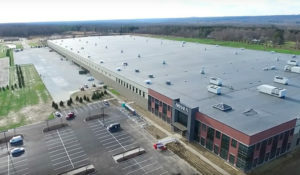 If you are looking for other North Carolina furniture companies, take a look at Huntington House Furniture based in Taylorsville North Carolina, Thomasville Furniture based in Thomasville, or Kincaid Furniture based out of Hudson North Carolina! As for finishes, all of the finishes that are applied to these pieces are sourced from supplies local to North Carolina and Tennessee, and assembled in the plant in North Carolina. Additionally, all threads, cushioning, spring suspension, and fabrics are all sourced and manufactured locally in North Carolina. This is exciting because it really speaks to the extremely high quality of this furniture. That being said, generally speaking if a piece of furniture is produced domestically in the United States, it can mean a higher level of quality. Arhaus is the complete home brand but their core collections have always been their living room and dining room ranges. To see these pieces in person, you generally will have to visit an Arhaus outlet. There are a handful of Arhaus furniture outlets throughout the country, but one of the biggest on is in the capital of North Carolina, Raleigh North Carolina. This outlet is pretty large, and truly is a beautiful collection of furniture. When walking into this store you are presented with a huge range of furniture pieces ranging from living room furniture, dining room furniture, and bedroom pieces. Overall visiting an outlet is a great way to truly get a grasp of what Arhaus is all about, and the overall quality of the furniture. Along with this, it also helps to find new pieces that work with your homes style and genre. The look, feel and style of your dining room is paramount to the way your home looks. Arhaus dining room collection includes everything from tables and chairs to kitchen cabinets and storage solutions. The table is the most important element of the dining room and Arhaus has a wide selection. 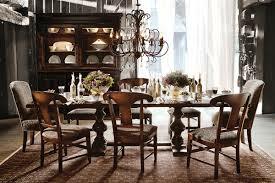 Arhaus have an option of traditional, modern, contemporary or classic dining room tables. There are over 35 different collections each designed to give a unique and distinctive look. Choose from rectangular, oval or round tables, depending on the space you have available. If it matches your home, and your budget allows, then a solid hardwood table is always the way to go. It provides a classic look that will stand the test of time and bring value to your dining room. Each of the wooden options has a range of different unique finishes that are designed to protect the wood and adapt the colouring to fit your preferences. There are over 8 different colours of table available so whether you’re after a neutral beige or a bold orange Arhaus have the one for you. The size of tables varies greatly depending on the model. Arhaus has tables suitable for 3 people all the way to 12- perfect for larger families or frequent hosts. Each of the tables has matching chairs and accessories, with benches available for some units. Arhaus dining room sets are well crafted and beautifully designed to give a sophisticated look without the high end price tag. Find your local dealership today to explore all of the options available to you. Each of these are available in different styles including traditional, modern and classic. There are a range of different size units available and different living room sets that include multiple different seats. There are over 10 different coloured sofas or alternatives to choose from, letting you match your decoration as much as possible. You can choose between fabric or leather with unique microfibre options that give protection against spillage and wear and tear. Arhaus leather collection is a stylish option that gives the benefit of durable leather, increasing the lifespan of your unit. If you are looking for other quality sofas with a range of different colors I would suggest Smith Brothers Furniture because of their variety of materials and colors. All of the sofas are varying sizes depending on the collection, some featuring rolled arms and others square arms. Your best bet is to talk to your dealer and discuss the space you have available so you know how to make the most of it. 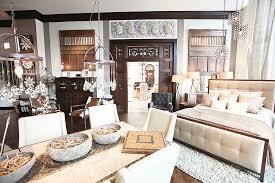 Arhaus furniture is very varied but all has a level of sophistication that other brands don’t. While their higher tier furniture is quite pricey the lower end products are pretty good value and offer style and quality that can certainly benefit your home. The furniture itself is good quality from Arhaus, but that's the least you should expect from the prices they charge. Arhaus produces quality furniture that is great looking and great quality. It’s certainly true that Arhaus is not selling the cheapest furniture around but that doesn’t mean there isn’t value. In the furniture industry most of the time you get what you pay for, and if you’re able to upgrade units you’ll see better results. However that does mean when mistakes happen (as with every company) it’s much more frustrating when you’ve paid top money for it. Arhaus is a fairly top end furniture supplier and with that you get the great designs, useful features and reliable products. Overall users seem pleased that Arhaus is delivering and while it is expensive It’s worth the extra. Arhaus offers a lifetime warranty on most of their products. This includes the frames and spring systems within certain units. Any recliner mechanisms are covered for 3 years with motors are covered for 2 years. All warranties cover any workmanship errors or material defects. Surprisingly there is no warranty offered for fabrics or leathers, so be sure to look up the best ways to maintain your material or it could cost you to replace it. Arhaus have comprehensive design and style choices that will fit any tastes. All of their pieces are designed with class and fashion at their forefront with the home of transforming your home. Arhaus considers their furniture a work of art and you can tell from the construction quality what they mean. Arhaus isn’t the most competitively priced on the market, but if your budget allows you’re unlikely to be disappointed with what you get. Often in the furniture industry the more you spend up front the more you’ll save by not having to replace faulty or broken furniture. Arhaus Furniture isn’t for everyone but offer a classy, high end look for you home, I hope you have enjoyed our Arhaus furniture reviews. If you are interested in looking at other living room furniture reviews take a look at our living room section!